I reported a couple of weeks ago, on http://bit.ly/o5Nhoh about the clone tablet market being an interesting one from China. One aspect of this is it will accidentally push the tier1 tablet providers to offer some features we have not seen yet in tablets. 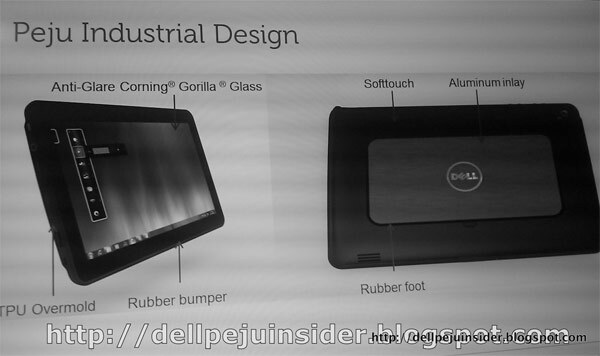 The flip side of that coin is that some manufacturers like Dell will already have devices that they are holding back, or planning to launch that the Chinese clone market, might launch features of first. Only relevant in this context for the new feature set being offered. · One being an Ethernet port something may will find useful, as it pushes the tablet more into a high speed download device that is currently limited by wifi or 3G speeds. The latter has not been really discussed by anyone other than me so far, but I think it is a biggie. Currently to do a ‘normal’ upgrade to the OS on your tablet, you really need it pushed from the OS supplier, manufacturer, or carrier (or all), to your device. There are other ways some working better than others. · The point being the best upgradeability is one that is supported by Apple, Android/Google, or in this case Microsoft. No one has seen how Microsoft will support tablet OS’s other than a good glimpse at Windows 8, as none have been discussed in this context as Windows 8 is still months away. If Windows 8 is a success with business even mildly, and business is expected to consider or embrace tablets as ‘productivity’ devices and not just ‘consumption’ devices, then a migration strategy will need to be considered when the 1st generation of Microsoft supported tablets are launched that might support windows 8. This will be less of an issue once Windows 8 launches, but til then manufacturers have to address the future proof-ness or worse wait till windows 8 launches and that may be 9 months away. Microsoft will need to adopt an Android Honeycomb/Minority Report-esque ability to change screens if tiles are going to be used, and I will be looking forward to the next windows 8 alpha to see how it matures.